It’s been just hours since Apple’s iOS11 rolled out. I guess that it will take some time before everyone tries it and gives a personal verdict. For me, the most interesting and intriguing feature is the release of ARkit. In a few words, “…a new framework that allows you to easily create unparalleled augmented reality (AR) experiences for iPhone and iPad”. It truly allows the blending of digital objects and information, superimposed onto the physical world (the so-called Reality), the environment around you. 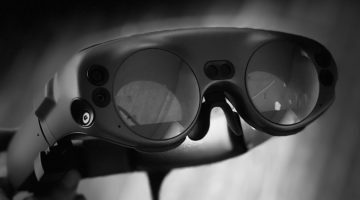 The key factor is the ability to interact with that object and make it a vehicle for whatever the task at hand is, allowing the user to experience Mixed Reality. As a surgeon, futurist and technology innovator, my passion focuses in the smart use of technology to improve how we do and teach healthcare and education. As an ExponentialMed faculty, I know that there are really no limits to what we can do to with technology, and that the only true obstacle is our own creativity and imagination. InsightHeart and the InsightBody project, are perfect examples of this radically different way of thinking. This app, which just became available at the App store, is the result of several months of hard work by Animares, one of the best in the industry, when it comes to digital design, production, interactive medical illustration and especially, a clear vision of what our future could be. Its not only a very different approach to learning the anatomy and physiology of the human heart, in a very clear and explicit way (Viewer Discretion Advised! ), but also an amazing tool to get a basic understanding of how the heart functions, in health as well as in disease. Instructions: when you open the app, aim down, to a free and well lighted area, so that the floor can be scanned; then you “tap and hold” until the square turns “green“, and there you are. If you get closer (try landscape view, for a fantastic 3D effect), the heart opens up, showing its unbelievable inside anatomy. We dare you to submerge into the depths of a beating heart!. You can make the heart rotate by touching and swiping it with the tip of you finger.Its really simple and intuitive! Tap on the “heart” icon and see the integration with your most recent work-out, via the Healthapp (HealthKit). Tap on the legend, to the right, and see annotations referring to different regions of the heart. As you tap on them, the heart turns to that specific position. The spatial sound supports this immersive experience. Audio and spatial sound makes learning with all senses complete. Move towards the heart and hear the heart louder, move out and hear the ECG louder. As you can see on the top there are 3 more heart conditions, beside the Normal Heart (Myocardial Infarction, Arterial Hypertension, Atrial Fibrillation). On the left you can view the ECG animated to the specific heart condition. This app is for the layman and for the expert, for the medical provider and the patient…especially for the patient. With wonder, I can only recall the face of one of my elderly patients when she finally saw how her abnormally beating heart, with Atrial Fibrillation (AFib), contrasted with a healthy one. 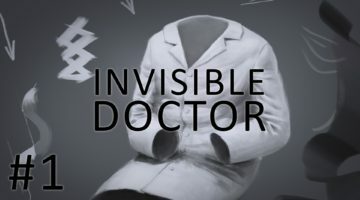 How she could get closer and “dive” inside it and finally understand what “Irregularly Irregular” means, and most important, the reason for her palpitations! The haptic (“sense of touch”) of the new iOS11, allows the user to literally have the heart in their hand, feeling every single beat, as if touching living tissue. 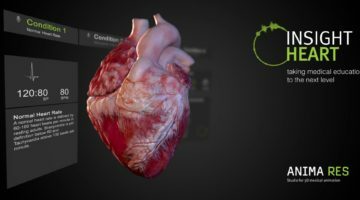 Animares wanted to create more than a Mixed Reality interface; the goal was to have a tool that would be interactive, that would reflect some of the real, measurable physiology of the heart. Since wearable devices are so ubiquitous, it seemed that the best approach was to have the device “talk to the app”, so that, for example, your own heart rate could be translated into what you are seeing and feeling. The platform has HealthKit integration. The versatility of the Health app from Apple made it all possible. One can literally visualize one own’s heart response to the exercise in an asynchronous way (we are working on real-time, synchronous streaming of the data!). 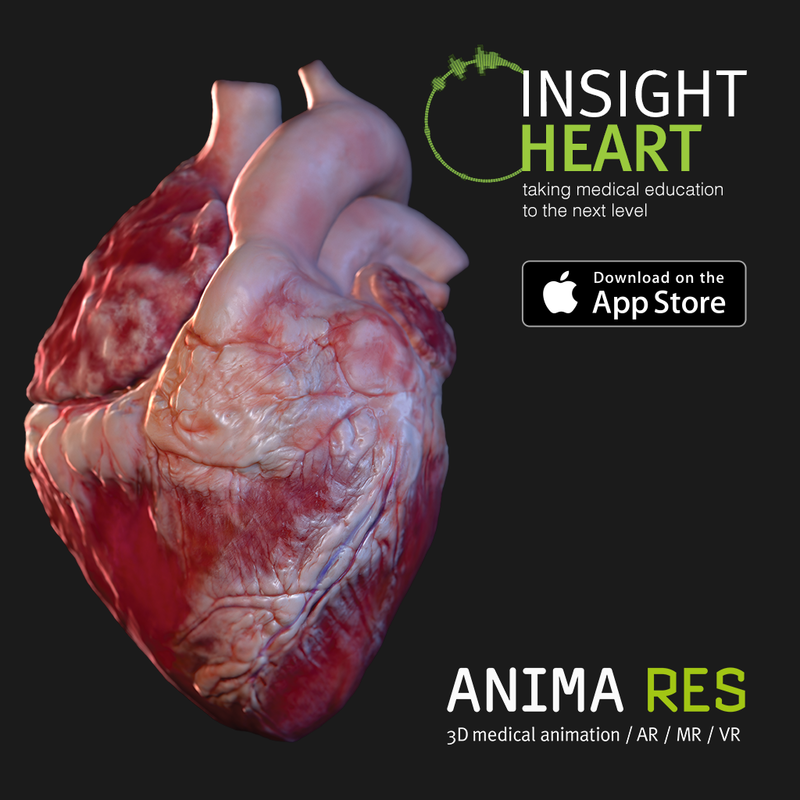 I invite you to discover InsightHeart and to explore how the ARkit platform can certainly help us radically improve how we understand our body and its fantastic functions. I truly believe that the smart use of this technology can take medical education, of providers and patients (ePatients) alike, well beyond any prior standards. As @EeHRN says, “bringing Hyper-realistic animation to the table will allow patients to see their health conditions and demonstrate effects of behavioral changes”. I also predict that InsightHeart’s integration with wearable devices will allow for better engagement with the trackers and likely result in improved health and fitness outcomes for all. I can’t wait to personally tell you, and show live demos & hands-on sessions during my upcoming, global keynotes.